The Ohio Bureau of Workers Compensation offers the Employers Working with Persons with Developmental Disabilities (EWPDD) Grant Program to assist Ohio employers with ensuring the safety of their staff when carrying out the services they provide to developmentally disabled children and adults. The program is available to eligible Ohio employers who wish to purchase training and/or equipment to substantially reduce or eliminate injuries or illnesses associated with working with developmentally disabled children and adults. 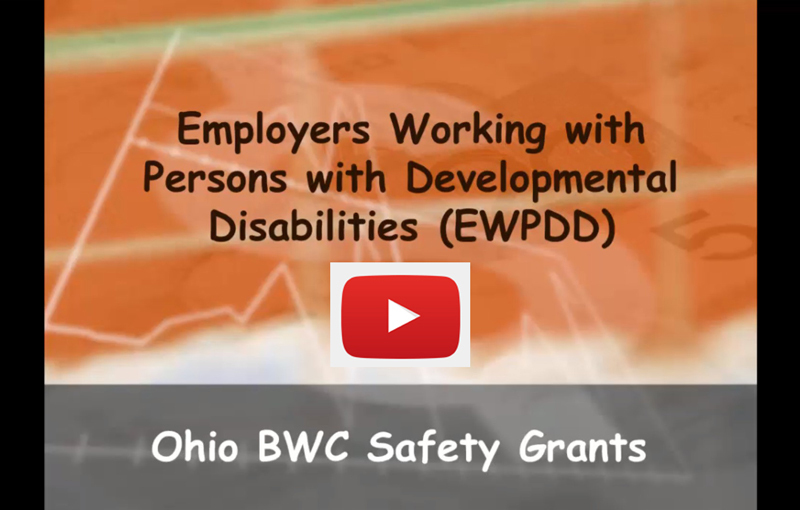 As part of the Safety Intervention Grant Program, the EWPDD Grant Program is available only to Ohio employers working with the developmentally disabled population. To learn more about the program, please watch the video below to learn more.